Bob Dylan Playing Three Nights at Terminal 5! Big news folks, Bob Dylan and his band are playing a three night stand at midtown’s very own Terminal 5. I just may have to return to the venue for the first time since opening night! In other Bob related news, two major reissue projects are coming out on CD and vinyl in a little under 3 weeks from now. 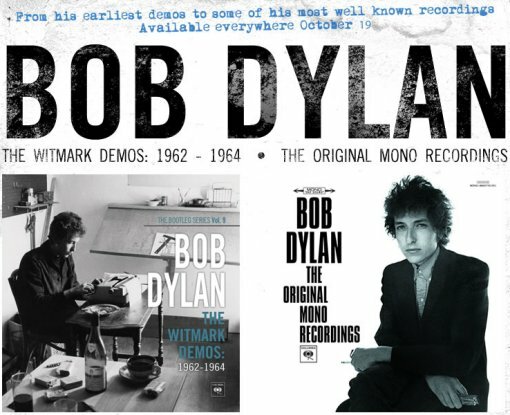 People who pre-order The Witmark Demos: 1962-1964 (The Bootleg Series Vol. 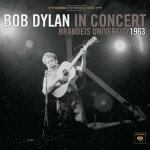 9) on CD or vinyl, or The Original Mono Recordings on CD or vinyl at amazon.com will receive the CD, Bob Dylan: In Concert, Brandeis University, as an added bonus. The Brandeis performance has never been heard, bootlegged or circulated in any way. It was taped on May 10th, 1963, at Brandeis University’s first annual folk festival. This offer is limited to pre-orders only and will not be available after 10/18/2010.